On the last day of the road trip, the decision was whether to head straight to Cape Town or to make some sort of detour. After a relatively lazy morning in Swellendam, we decided to head to Cape Agulhas, the southern most point in Africa and the official dividing line between the Atlantic and Indian Oceans. It has a pretty nice lighthouse there that you can climb to the top of via rickety ladders and amidst warnings of high winds once you reach the top. 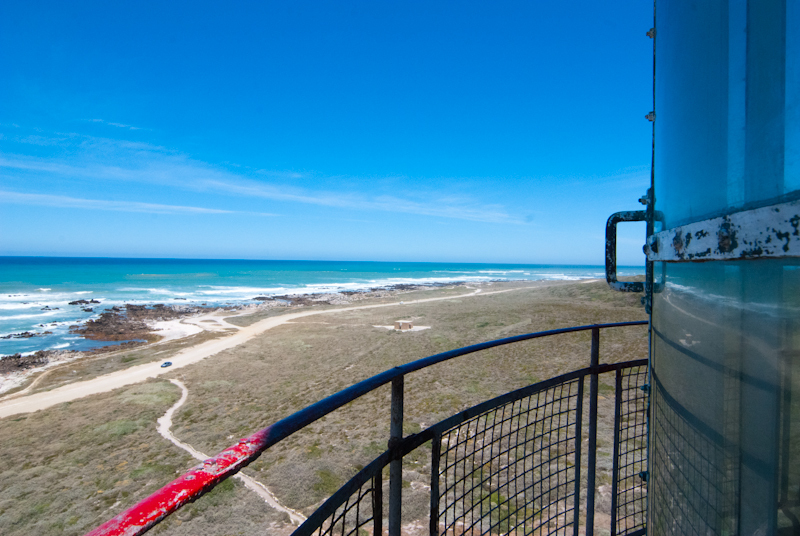 The actual point know as Cape Agulhas is relatively unspectacular. But now I’ve been to one place where two oceans meet; only four more to go.